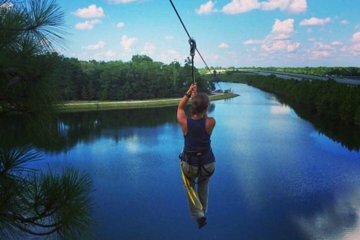 Soar through the trees on a 3-hour zip line adventure. With hourly sessions offered throughout the day, you can easily find a time slot that works for your schedule. Whether you want an adrenaline rush or simply need a break from the city, sailing over a forest canopy is sure to do the trick. Children over 10 can join in the fun, which makes it a great family activity.